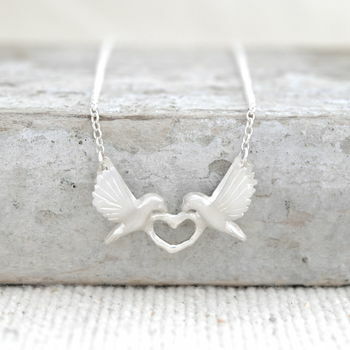 Delicate jewellery inspired by all things wild and wonderful, perfect gifts to treasure. 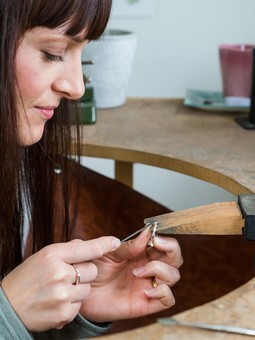 Each piece of Alice Stewart jewellery is lovingly created from precious metals with attention to detail in Alice's garden studio, in the picturesque town of Stratford-Upon-Avon. 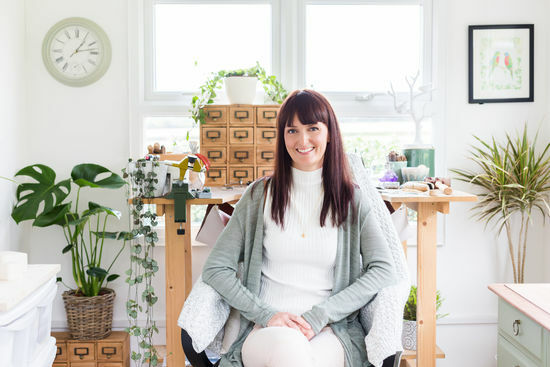 Her enchanting studio is a constant inspiration, surrounded by scenic fields and rolling hills which can be seen through the free flying birds, blooms in blossom and delicate twigs in her pieces. 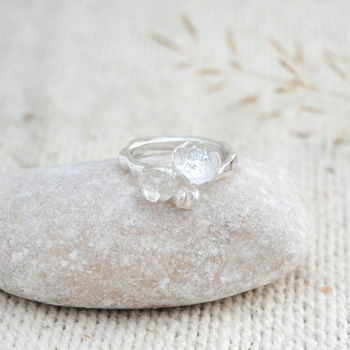 Alice designs and creates each detailed piece herself out of silver or gold, incorporating diamonds and precious gemstones in some of her pieces. 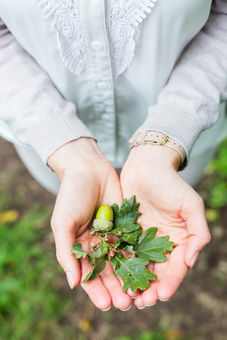 She hand carves the original out of wax or uses a natural found object and goes on to use a traditional lost-wax technique to cast the pieces into precious metals. There is a story behind each individual's jewellery, Alice's greatest delight is in her jewellery becoming a part of someone's treasured memories of a special celebration or milestone for years to come. "Very well received. 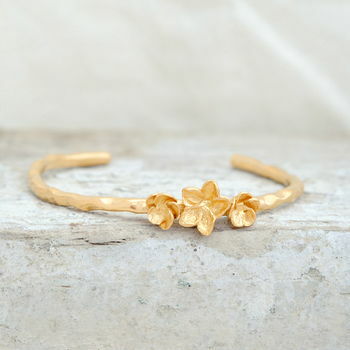 The Gold Blossom Bangle is an elegant and subtle piece, its design and style is timeless meaning it looks great in any era." "A gift to myself after a recent difficult time in my life. The necklace is beautiful and timeless. I adore it." 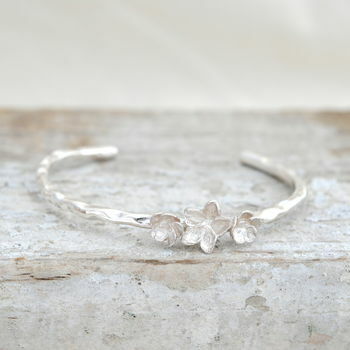 "Absolutely beautiful bangle which went down very well with the recipient. It's nice to have something different that i wouldn't be able to get elsewhere. Thanks"
"Excellent customer service from the seller, Alice Stewart. And the products are gorgeous too. Would highly recommend." 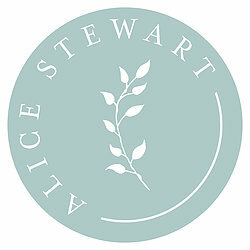 If you need a piece of jewellery by a certain date Alice will do all she can to get it to you for your special occasion. Please message her if you need an item urgently.